(APN) ATLANTA — On Friday, September 22, 2017 the Georgia House of Representative Science and Technology Committee heard from Jeremy Epstein, a senior computer scientist at SRI International, via Skype, about voting vulnerabilities with the Direct Recording Electronic (DRE) touchscreen voting machines that comprise Georgia’s E-voting system. The hearing took place as the State of Georgia is finally showing signs of revisiting its E-voting regime. Rockdale County is having a pilot project for municipal elections in the City of Conyers, involving a voter verifiable paper audit trail used in tandem with a scan technology that thermally imprints voters’ choices, according to Secretary of State Brian Kemp’s office. 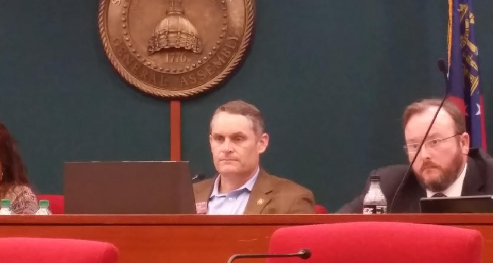 At the hearing, State Rep. Scot Turner (R-Holly Springs) spoke in favor of returning the State of Georgia to a system that includes a paper trail. A Ballot Marking Device, or BMD, is a touch screen that produces a physical ballot with your vote selection, which is then fed into the optical scan machine to read the marked paper ballots and tally the votes. With this system, there is an independent, verifiable audit trail in case there are questions, problems, or concerns about the vote results. Most states are abandoning DRE’s because they are vulnerable to security flaws, bugging, and hacking. They are dependent on the software working correctly; and, without an independent verifiable audit trail–meaning, paper–any problems will be undetectable. “When you use a DRE, you are outsourcing your decision on who wins the election to whoever wrote the software,” Epstein warned the Committee. The DRE’s “are frequently indirectly connected to the Internet, and programming is over the Internet,” Epstein explained. Only Georgia, Louisiana, New Jersey, Tennessee, South Carolina, and Pennsylvania still use the old DRE machines. Georgia is one of only a few U.S. states that do not have an independent way to verify election results. Georgia’s faith-based E-voting system is frequently ranked as the worst election system in the country. “One of the most common voting machine in use today can be physically tampered by using a hotel mini bar key… you can open it up and change the memory card, and by changing the memory card, you can change the programming of that machine and it will be undetectable,” Epstein said. At the annual DefCon computer security conference in Las Vegas, Nevada, in less than two hours, hackers broke into various models of E-voting machines that have been used in states throughout the U.S.. They used some thirty E-voting machines made by Diebold, Sequoia, and Win Vote. Some hackers took the machines apart to find and document vulnerabilities. Others gained remote access over Wi-Fi and were able to upload malware to them. “Within hours they were able to change the votes in all the machines, including the ones used in Georgia,” Epstein said. Garland Favorito, founder of VoterGA, is one activist in Georgia who has been warning about this issue since 2002, but, for many years, few listened or believed. On September 08, 2017, following the DefCon cybersecurity hack, the Virginia Board of Elections voted to decertify all their touchscreen voting machines that do not produce a paper trail which can be checked against a final result. “Virginia won’t tell the public what they found, but it was bad enough for them to break away and decertify all the machines,” Epstein said. Chris Harvey, Georgia Election Director for the Secretary of State, read a prepared statement and answered a few questions from Representatives on the committee. One question was, do you know of any major issues with Georgia’s election system? “I did not hear any problems with the voting system,” Harvey said to laughter and disagreement from the audience. Harvey could not say too much because of a current lawsuit in federal court expounding on all the problems with the DRE voting equipment.